Stamell Stringed Instruments guarantees each instrument for one year after purchase. Repairs and adjustments covered during this period include the gluing of open seams, peg fitting, bridge height adjustments, soundpost adjustments, and fingerboard planing. Any major repairs which require removal of the belly, performed by Stamell Stringed Instruments are guaranteed for as long as you own the instrument. 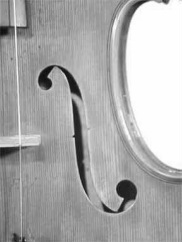 Stamell Stringed Instruments guarantees each bow for one year after purchase, but reserves the right to deny guarantee privileges in cases of misuse including over-tightening, tapping, etc. Rehairs are not covered by this guarantee. We stand by our instruments and our repair work. Instruments and bows purchased from Stamell Stringed Instruments may be traded toward another instrument or bow of equal or greater value at any time, upon availability. Instruments may be traded for up to 100% of their purchase price less a reconditioning fee of $200 for violin, $250 for viola, $300 for cello, and $350 for bass. The reconditioning fee covers the cost of new strings and other adjustments. It does not include touch-ups, cracks, or other damage suffered by the instrument since its purchase. Other deductions based on the condition of the instrument at the time of trade in are at the discretion of Stamell Stringed Instruments. We do not guarantee a "buy back" . The trade-back option is only guaranteed for instruments purchased from Stamell Stringed Instruments, and is subject to availability. Bows may also be traded back for up to 100% of the purchase price. A $65.00 - 75.00 re-hair fee will be assessed at the time of trade in. Deductions may be made for other repairs including new grips and leathers, tips or other repairs as needed. Cases generally trade back at 50% of the purchase price, but the exact amount will vary according to overall condition. Rental packages will trade in a 75% of their purchase price. The 100% trade back policy protects your investment and allows you to upgrade at any time. Stamell Stringed Instruments accepts Visa, Mastercard, AmEx, and Discover, as well as personal checks and cash. Please discuss your particular needs with us, and we will do whatever we can to help make your purchase successful. Stamell Stringed Instruments does not engage in the controversial practice of paying undisclosed commissions to string teachers in order to sell instruments. While we recognize that the practice is widespread, and that teachers of stringed instruments give their time and expertise to help students select instruments and bows, we feel it is unethical to build a commission into the process. In fact, we feel that the practice amounts to a "kickback". Our policy is to express our gratitude in appropriate ways, with no need to hide anything from our customers. In our opinion, the selection of an instrument and bow should be between the student and teacher, without the corrupting influence of the shop that is selling the instrument. Compensation for help with this process should therefore be between the student and the teacher as well.